Sometimes we think about the coming year endlessly. Sometimes we wake up suddenly to find it perched in our lap with some undefined expectations. Ready or not, 2015 is now in our lap. Be that as it may, we stand at the threshold of a new and potentially momentous year. What will it be this time? Which action will make this 2015 one for the books – one to shape your life as you would have it shaped? High in my mind is always a question about how my fishing or hunting or outdoor interests (and what I might do with them) will make the world a better place for those coming up behind us. Several of us will start with a fresh attempt to get our Washington Children’s Outdoor Bill of Rights resolution actually passed by our 2015 State Legislature. We made some progress last year, but the process needed more voices. Maybe we have enough, now, to move it forward with the help of Senator-elect Warnick and her Legislative Assistant Kyle Lynch. You recall that Homey Jerry Pettit and I started a conversation about firearms a couple years back, and not long after that, we began discussing ideas about our state’s outdoor bill of rights for our children; our future. We have taken many cues from our own families. In my case, my Grand-Hucklings are being mentored by Hucklings with extensive experience with firearms and the outdoors, and an abiding interest in their children’s outdoor connections. Over the past year and more, conversations with various combinations of them about my hope for our statewide Children’s Outdoor Bill of Rights, and the safety and skills training which might accompany it, were sprinkled with a fair amount of discussion of age-appropriate training and outdoor opportunities. I have written about this stuff and I have spoken widely about this stuff. The bottom line is that more and more kids are learning to live without an earth connection, and that missed connection often shows up as a sort of generalized fear in their lives. Thus, Jerry and I continue pursuing thoughts about firearms, a public conversation about the issues with which people across America are struggling, and the proper form for our proposed statement of kids’ outdoor rights. Several others have joined in our arguments now as we craft a proposed resolution. I am also pushing youngsters to take as many wildlife and outdoor photos as possible, and submit their best shots to the Central Washington Sportsmen Show Photo Contest. 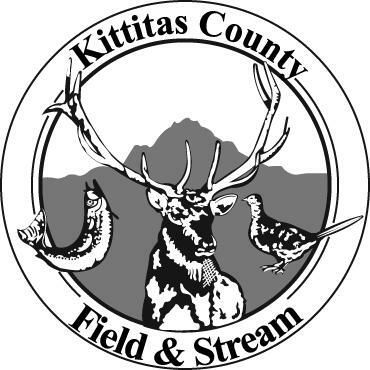 The contest is co-sponsored by the Kittitas County Field and Stream Club and all photos will be on display during the Wenatchee, Tri-Cities, and Yakima shows. Prizes include ribbons, canvas prints of winning photos and up to $100 in gift cards. Details at www.shuylerproductions.com. On a more personal level, I expect to wrap up a couple book projects in our Reecer Creek Publishing Company. We have an almost-here grandson for entertainment, and several already-here grandkids in need of training and hands-on experience with fishing, shooting and camping. Somehow, I have no doubt that 2015 will drop a surprise or two in our laps, as will. It will be a good year. So, how does your year shape up? How will your love of nature and the outdoors help ensure and inspire forever outdoor connections for the people of Paradise? Like fresh snow awaiting your tracks, this year lies undisturbed before you. A happy and successful 2015 to you. At the urging of fishing-nut buddy Brandon Rogers – who suddenly had an empty spot on a boat heading out for steelhead on the Columbia near the Tri-Cities – I spent the day after Solstice thrashing the big river. I came off the river to a phone call from a new homey wanting some ideas about entertaining kids and extended family after Christmas, on what he feared would be a lo-o-ong weekend. Given my responsibilities as Chair of the Long Outdoor Weekend Activity Subcommittee of the Reecer Creek Rod, Gun, Working Dog & Outdoor Think Tank Benevolent Association, I agreed to help. As to Homey’s request, my outdoor holiday recommendation has to be wildlife watching and photography. Grab the cell phones, and cameras or pick up a couple of those disposable cameras, take binoculars and spotting scope and get everyone close to wild critters. To maximize the pleasure for all, remember hot chocolate, coffee, cookies, sandwiches and whatever else your gang might need to make an outdoor adventure memorable. You can do this any way you want. There are trips short enough to get them out of the house while breakfast or dinner is being prepared, or long enough to entertain the whole gang for a day. You may find elk up the Colockum, but the largest herds in our valley will be fed up Joe Watt Canyon once the snow flies. My spies tell me there are already a handful of elk near the fence, and you can hang out about as long as you like. You may also see them scattered from Joe Watt over to the Heart K Ranch at the mouth of the Taneum. A longer drive will get you to what most consider the ultimate elk and bighorn watches; the elk feeding at Oak Creek Wildlife Area, and bighorn feeding at the Cleman Mountain Site. Numbers of animals at both sites are still increasing, but you will likely see wildlife. Both sites are near the point west of Naches where Highway 410 and Highway 12 intersect. At the intersection, turn north onto the frontage road and follow it to the bighorn sheep feeding site. You cannot miss the fencing and the signs. For the elk feeding, turn south onto Highway 12, and look for the wildlife area signs (and perhaps visible elk) on the right. You will also have time to remind your gang that winter survival is everything to deer, elk and bighorns. Under the best of conditions, the stress of the cold season is the major controlling factor for their populations. It is always our responsibility, as we are out and about seeking in-person wildlife experiences to replenish nature connections in our lives, to avoid adding to the normal stresses of winter. Wildlife is generally easier to find at this time of movement onto their limited winter range. They will move around less, and seem “less wild,” but don’t be fooled; they are conserving energy, but will still be on high alert for any invasion of their space. Disturbed and spooked, a large herbivore may double its rate of energy burn (and burning off 30 percent of fall body weight will often cause death, even if food becomes available). The bottom line of all this is that we have an obligation to observe critters from a distance comfortable to them, not us. I often repeat one of my favorite expressions; “Facts are facts, but perceptions are reality!” Sinlaheken Manager Dale Swedburg passed this along some years ago, and it applies to wild critters as much as to people. Thus, even if we think we pose no danger, what matters is what the animals perceive. Causing wildlife to stop feeding, or move from a feeding/resting area, will affect their health and well-being. And, while you are out and about, watch the winter roads and traffic of Paradise. Being hit by a vehicle or running into a deer or elk can mess up the whole day for both of you. Enjoy the gift of this long holiday weekend as it pushes us toward whatever is in store for 2015. Last minute outdoor Christmas gifts? Hardly. You have almost a week. With all the gift opportunities of Paradise, that’s a lifetime, and cost is negotiable. As you may recall, I like to start with a gift of time – truly focused time spent with youngsters or family outdoors getting ever more deeply connected to Mother Earth, and nature. The subject has been discussed at a couple holiday celebrations of late, as a number of us work to get our “Washington Children’s Outdoor Bill of Rights” resolution before the State Legislature. In my view, such deep connections require conscious attention from each of us. The whole business, for me of course, starts with E.O. Wilson, Richard Louv and Robert Michael Pyle. Harvard professor Wilson wrote “On Human Nature,” which won him a Pulitzer Prize a couple decades ago. He coined “biophilia,” to describe the innate desire of humans to connect with other life forms – a benefit individually and collectively. 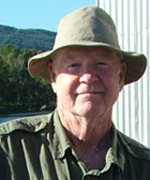 Louv wrote “Last Child in the Woods” and his work with “Nature-Deficit Disorder” has inspired kids’ outdoor bills of rights in more than a dozen states. Pyle – one of the nation’s premiere butterfly experts – has written extensively on the importance of a connection to nature, maintaining that losing a sense of belonging to nature (his “extinction of experience”) threatens us all and bodes ill for our future. Pyle and several other writers note that this earth connection happens in some place – in our backyard or along a street or in a ditch or far back in some wilderness. It just has to be a place where there is some kind of “wildness.” Here in Paradise, we are surrounded by wildness. 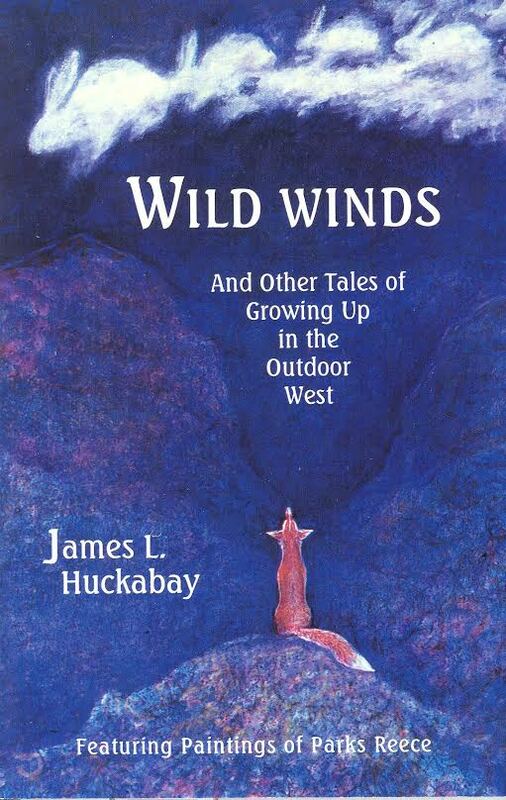 So, here is my contribution to this conversation about outdoor connections and gifts of time; for the gift to change a kid’s outlook and for the connection to last, it must be given in JOY. I learned that one four decades ago. One warm 1970s afternoon in Denver, eleven-year-old Tim wanted ice cream. It seemed like a good day for a three mile hike; along the way, we studied clouds and plants and bugs and a dead cat and a soil horizon exposed in a road cut. We laughed and questioned and felt wonder. On the way home, we ate our ice cream and did it all again. From then on, as part of each kid’s Christmas or birthday gift, I gave a block of time to be happily spent doing something the kid wanted to do – getting connected. They still talk about the times we spent joyfully doing their thing. A truly memorable gift nearly always lives its life as somebody’s “favorite.” My sainted Tacoma grandma, for example, craved a particular type of chocolate. At gift‑giving times, Heaven help Grampa if that candy wasn’t in the pile. She’d gobble it up, then spend months savoring the experience, and showing Grampa her gratitude. On the other side of that equation, Grampa had a scarf he wore outdoors. He said Grandma made it the first hunting season they were together. Said he wore it on cold, early-1900s mornings down in Colorado, when he and his chums made a few bucks by blasting away at flocks of ducks and geese. The scarf looked that old, too, and he patted it every time it went around his neck. They shared a long and happy life. Gifts designed to be disposable can be memorable also. An uncle gave me a box of .22 ammo every year – I couldn’t wait to open the package. One of my aunts always sent a folder of snelled hooks. Why not a phone-card, film for someone still in love with a great old film camera, or a tank of gas just for a Sunday drive or a camping or fishing trip? Pick up a new National Forest map for the favorite area of your outdoor nut. Start a year‑round outdoor habit with the Washington State Wildlife Viewing Guide. “Bookmark” it with enough cash to cover the gas for the family to follow one of the unique wildlife trips. I know of folks receiving new handguns for Christmas. If you know one of such giftees, why not add a lifetime of value to the gift? 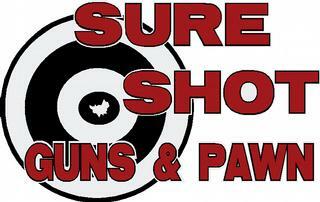 For top-notch training in the safety, care, handling and shooting of that new piece, contact NRA-certified handgun instructor Marilyn Mason at 509-962-3002 or Brothers N Arms (509-933-4867) and arrange some lessons. There are treasures – in someone’s eyes – all over town. Remember that gift certificates from any place in Paradise will fit any last-minute gifting need and any recipient. May you give, and receive, every gift with joy. Marry Christmas. The Old Man, my father, loved our “tree hunt.” He explained to his three sons that we hunted deer so that we could sustain our physical selves through winter, but our Christmas tree hunt was to sustain our spirits through whatever lean times might come. He had precious little education, and he was a wise man; with his construction work, and the tough 1950s, lean times were almost guaranteed by every Christmas. At some point in December, we=d head up to Uncle Ed and Aunt Evy=s place on the Little Chumstick, out of Leavenworth. Somewhere on those hillsides, we knew, was the year=s tree. It was as close as The Old Man ever got to democracy; we all had a vote, and only a unanimous vote would get a tree cut. We would stand before tree after tree, and split each ballot. Over a few hours, of course, the split on the ballots would grow narrower, as my younger siblings grew weary of democracy. Finally, some ideal young Douglas fir (in his opinion, the only genuine and true Christmas tree) would receive a unanimous, if teeth-chattering, “aye!” After a short ceremony, in which he would thank God for our family and outing and the tree for its gift of holiday cheer, my father would cut the tree. Back at the Little Chumstick house, cousins and parents would gather at the wood stove. Hands were wrapped around huge mugs of hot chocolate with marshmallows. Plates held warm chocolate-chip cookies. Once we had filled our bellies with sweet holiday memories, and grownups had had enough kid noise, we boys dozed our way back to East Wenatchee, warm and full of the promise of Christmas. No matter how few presents or how little money, there was always our hand-harvested tree. It was our hearth. It was around the tree that we heard the biblical stories of Christmas. There, we learned of family Christmas traditions. There, we learned how our parents had lived as youngsters, and how some small gift (often seeming almost insignificant to us) had held joy for our parents through years and years. Our tree was a special place. Christmas never truly ended until the tree came down. There were years it lasted well into January – years when we needed a constant reminder of the spirit of the season. Years later, from Denver, I would take my Hucklings and their mom on a too-long drive into the Pike National Forest foothills southwest of the metro area. In a congo line of hundreds of other chained-up vehicles, we would snake our way along the designated one-way trail to some draw or hillside which we knew held the perfect tree. Somewhere around two hours out of our driveway, we=d pull off the trail and pile into the snow. With excited yells of “Up there, dad!” or “I think I see a good one down there, mom!” we would inaugurate the Christmas season. In that Colorado forest, our trees were also Doug firs – always with a flat side, sparse limbs, or some other flaw which made them perfect. The balloting still took as long and the younger kids always gave in first. The unanimous tree was always cut after a ceremony, and the Hucklings worked together to get it back to our rig. The hot chocolate was as perfectly rich and creamy as in my youth, the cookies were always perfect, and the kids always conked out as soon as I fired up the rig. One year, the kids asked to keep the tree up until it was a decorated skeleton. (This was so that “we would be able to find all the ornaments,” as I recall.) At some point, I insisted that we hire a fire marshal or get it out of the house. When I returned to Washington (and Paradise) in 1993, I returned also to my annual Christmas tree hunt. Our Wenatchee National Forest is loaded with perfect young Douglas firs (and others, if you prefer). Permits are still, interestingly, just five bucks per tree, and your family may have two. Pick them up, along with maps and instructions, at our Kittitas County Chamber of Commerce office, Cle Elum Ranger Station (509-852-1100, ext. 1), Intermountain Radio Shack, Pioneer Coffee and Mac A Bees. Sportland Shell Mini Mart south of Roslyn, and The Teanaway Outpost on Teanaway Road, also. Over the last couple decades, even with the Hucklings grown and away, we have managed several tree hunts. On our last Christmas tree hunt in the Upper County, we found two perfect trees five minutes from the Jeep, side by side. In what was likely record time, the vote was unanimous. This year, a Seattle-area friend got me thinking about kids and Christmas trees and cold and snow and hot chocolate and traditions. It is timeless and important. The tree spans the whole of Christmas. It is decorated with the trappings of faith and family ways. It is surrounded and filled with gifts. It is the focal point of our celebrations. May your tree be a center of the season=s joy. May its look and scent carry you to the woods – even if it is man-made. Whether you find it in a lot, in the woods, or in a storage box, may it be a source of family pleasure and togetherness. Over a too-brief Thanksgiving holiday, I took a run to Denver and all those grand-hucklings I just don’t see enough. Somewhere in there, I found some individual one-on-one time with the little bra.., uh, people. One of the boys – seven-year-old Kristian – and I took a long walk through rapidly developing portions of Aurora. Genuine wildlife nuts, I think, will observe and question the life patterns of any wild critter. Then, as over the current Thanksgiving holiday, the gauntlet was thrown. As Tiny Wildlife Research Chief for the Reecer Creek Rod, Gun, Working Dog & Outdoor Think Tank Benevolent Association, I was duty-bound to answer the questions. So, where are the bugs in winter? Lady beetles (ladybugs) may overwinter under bark, house siding or in the woods, as do some others, but most of the “bugs” we see in summer and fall don’t go anywhere. Once they’ve made enough offspring to get through the winter and ensure our springtime entertainment, they die. Among our most common insects are the moths, dragon‑flies, beetles and houseflies. Generally, their stages of development are 1) eggs, 2) nymphs or larvae, 3) pupae, and 4) adult. Among our more common moths are silkworms, which pass the winter in dense, silken cocoons. After emerging, the silkworm (or larvae) will grow through much of the summer. As the mature larva enters its pupa stage, it may simply spin a protective silken case around itself for the few days it takes to become an adult moth. The moth will then seek a place for its eggs – mostly on a leaf of its favored food tree or other plant. The eggs, in turn, will hatch into tiny caterpillars, which will take in food for winter. Then, they=ll spin their own silken cocoons, likely attached to their favored food tree, and spend their winter growing into next spring’s silkworms. The dragon‑fly may lay her eggs at the surface of a still pond, or attach clusters of them to a plant just under water. The nymphs (larvae) will breathe through gills, and feed on tiny underwater critters through the winter. Once they have matured enough to pass through the pupa stage, they=ll emerge as beautiful adults, ready to fly. Beetles (like Earl’s stinkbug) follow a similar life cycle, but on soil. Eggs will be laid in or near favored food. The hatched larvae will burrow into the soil, or beneath a thatch layer. Here the larvae will spin their own cocoons of a fine material (though rarely as fine as the silkworm’s). In this cocoon, the larvae will develop into the worms we will see in spring. After a feeding and growing time, the mature worms (or larvae) may spin yet another cocoon to pass the pupa stage and emerge as adults, ready to mate and lay the eggs which will become next year’s beetles. We have hundreds of types of flies, but we mostly think of houseflies. They will lay huge numbers of eggs on almost any decaying matter, though they seem to prefer flesh. Those eggs will quickly hatch into rapidly growing larvae (maggots), which quickly pupate into adults. In fall, the maggots enter a dormant stage, somewhere out of sight. As temperatures rise in spring, they=ll pupate into spring=s adult pests, and the cycle will begin anew. I recognize that this is a pretty shallow response to the questions posed, but you may need this information over the Christmas holiday with friends and family. There are hundreds of books on insects, and most will coach you through the pleasures of observing the life cycles of bugs. (Check out the brochures of pesticide makers, too.) Look carefully, and you will find an amazing abundance of our tiniest wildlife. I can bear witness to the entertainment value of tiny critters when deer, antelope, elk and other charismatic mega-fauna fail to show.